This outstanding example of a 2019 Mercedes-Benz C-Class C 300 is offered by Mercedes-Benz of Ontario. This Mercedes-Benz includes: MULTIFUNCTION STEERING WHEELLeather Steering Wheel 64-COLOR AMBIENT LIGHTING12.3 DIGITAL INSTRUMENT CLUSTERWHEELS: 19 TWIN 5-SPOKETires - Front All-Season Tires - Front Performance Aluminum Wheels Tires - Rear Performance Tires - Rear All-Season NATURAL GRAIN GREY OAK WOOD TRIMBLACK SOFT TOP (STD)Convertible Soft Top *Note - For third party subscriptions or services, please contact the dealer for more information. * Those shopping for a sporty convertible would be wise to check out this Mercedes-Benz C-Class C 300. With the versatility to easily switch between open-air and closed-cabin driving, it's hard to ignore the everyday practicality of this C-Class. Pull up in the vehicle and the valet will want to parked on the front row. This Mercedes-Benz C-Class is the vehicle others dream to own. Don't miss your chance to make it your new ride.Beautiful color combination with Polar White exterior over BLACK MB-TEX interior making this the one to own! Contact Mercedes-Benz of Ontario today for information on dozens of vehicles like this 2019 Mercedes-Benz C-Class C 300. This Mercedes-Benz includes: MULTIFUNCTION STEERING WHEELLeather Steering Wheel WHEELS: 19 TWIN 5-SPOKETires - Front All-Season Tires - Front Performance Aluminum Wheels Tires - Rear Performance Tires - Rear All-Season SD-CARD NAVIGATION PRE-WIRINGBLACK SOFT TOP (STD)Convertible Soft Top PORCELAIN FABRIC HEADLINERDARK BROWN LINDEN WOOD TRIMWoodgrain Interior Trim PREMIUM PACKAGEHD Radio Satellite Radio Premium Sound System Power Folding Mirrors *Note - For third party subscriptions or services, please contact the dealer for more information. * In just a matter of seconds, this Mercedes-Benz C-Class turns into a convertible for extra fun on a beautiful sunny day. Pull up in the vehicle and the valet will want to parked on the front row. This Mercedes-Benz C-Class is the vehicle others dream to own. Don't miss your chance to make it your new ride.This is about the time when you're saying it is too good to be true, and let us be the one's to tell you, it is absolutely true. Contact Mercedes-Benz of Ontario today for information on dozens of vehicles like this 2019 Mercedes-Benz C-Class C 300. This Mercedes-Benz includes: REAR CHROME TRIM (PIO)64-COLOR AMBIENT LIGHTINGINDUCTIVE WIRELESS CHARGINGSD-CARD NAVIGATION PRE-WIRINGWHEEL LOCKING BOLTS (PIO)Wheel Locks NATURAL GRAIN WALNUT WOOD TRIMPREMIUM PACKAGEHD Radio Satellite Radio Premium Sound System Power Folding Mirrors *Note - For third party subscriptions or services, please contact the dealer for more information. * This Mercedes-Benz C-Class features something for all that like fun drive -- It's a convertible! Pull up in the vehicle and the valet will want to parked on the front row. This Mercedes-Benz C-Class is the vehicle others dream to own. Don't miss your chance to make it your new ride.The Mercedes-Benz C-Class C 300 will provide you with everything you have always wanted in a car -- Quality, Reliability, and Character. This 2019 Mercedes-Benz C-Class C 300 is proudly offered by Mercedes-Benz of Ontario This Mercedes-Benz includes: 64-COLOR AMBIENT LIGHTINGINDUCTIVE WIRELESS CHARGINGNATURAL GRAIN GREY OAK WOOD TRIMBLACK SOFT TOP (STD)Convertible Soft Top WHEELS: 19 10-SPOKETires - Front All-Season Tires - Front Performance Aluminum Wheels Tires - Rear Performance Tires - Rear All-Season PREMIUM PACKAGEHD Radio Satellite Radio Premium Sound System Power Folding Mirrors *Note - For third party subscriptions or services, please contact the dealer for more information. 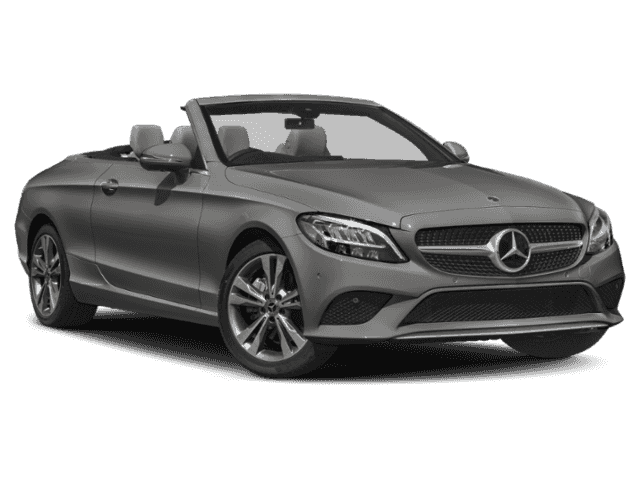 * This sporty Mercedes-Benz C-Class convertible leads the class in performance and refinement. Pull up in the vehicle and the valet will want to parked on the front row. This Mercedes-Benz C-Class is the vehicle others dream to own. Don't miss your chance to make it your new ride.Based on the superb condition of this vehicle, along with the options and color, this Mercedes-Benz C-Class C 300 is sure to sell fast. This 2019 Mercedes-Benz C-Class C 300 is proudly offered by Mercedes-Benz of Ontario This Mercedes-Benz includes: WHEELS: 19 AMG® TWIN 5-SPOKE W/BLACK ACCENTSTires - Front All-Season Tires - Front Performance Tires - Rear Performance Tires - Rear All-Season 64-COLOR AMBIENT LIGHTING12.3 DIGITAL INSTRUMENT CLUSTERAMG® LINEBLACK FABRIC HEADLINERMB ENTRY NAVIGATIONNavigation System NATURAL GRAIN BLACK ASH WOOD TRIMWoodgrain Interior Trim NIGHT PACKAGE*Note - For third party subscriptions or services, please contact the dealer for more information. 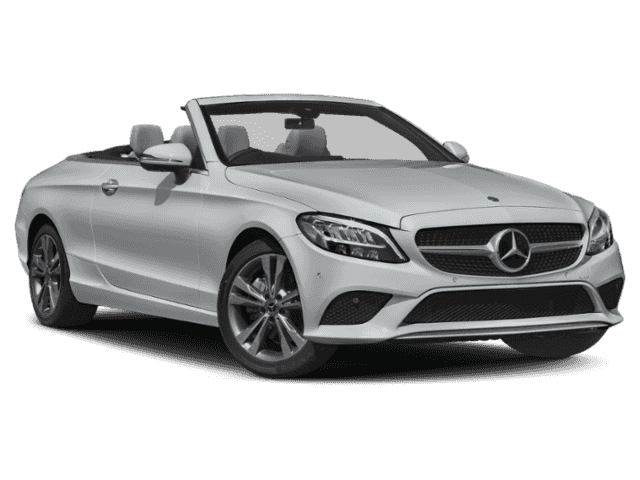 * This sporty Mercedes-Benz C-Class convertible leads the class in performance and refinement. You appreciate the finer things in life, the vehicle you drive should not be the exception. Style, performance, sophistication is in a class of its own with this stunning Mercedes-Benz C-Class.Enjoy the drive without worrying about directions thanks to the built-in navigation system. This 2019 Mercedes-Benz C-Class C 300 is offered to you for sale by Mercedes-Benz of Ontario. This Mercedes-Benz includes: WHEELS: 19 AMG® TWIN 5-SPOKE W/BLACK ACCENTSTires - Front All-Season Tires - Front Performance Tires - Rear Performance Tires - Rear All-Season MULTIFUNCTION SPORT LEATHER STEERING WHEEL64-COLOR AMBIENT LIGHTING12.3 DIGITAL INSTRUMENT CLUSTERAMG® LINEINDUCTIVE WIRELESS CHARGINGNATURAL GRAIN GREY OAK WOOD TRIMSD-CARD NAVIGATION PRE-WIRINGBLACK SOFT TOP (STD)Convertible Soft Top NIGHT PACKAGEPREMIUM PACKAGEHD Radio Satellite Radio Premium Sound System Power Folding Mirrors *Note - For third party subscriptions or services, please contact the dealer for more information. 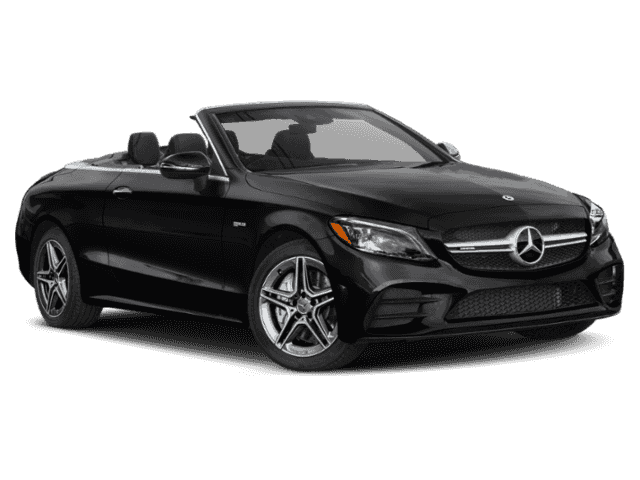 * Soak up the sun and have some fun in this outstanding Mercedes-Benz C-Class convertible. Pull up in the vehicle and the valet will want to parked on the front row. This Mercedes-Benz C-Class is the vehicle others dream to own. Don't miss your chance to make it your new ride.Look no further, you have found exactly what you've been looking for. This 2019 Mercedes-Benz C-Class C 300 is offered to you for sale by Mercedes-Benz of Ontario. This Mercedes-Benz includes: BLACK SOFT TOP (STD)Convertible Soft Top AMG® LINEPREMIUM PACKAGEHD Radio Satellite Radio Premium Sound System Power Folding Mirrors SD-CARD NAVIGATION PRE-WIRINGWHEELS: 19 AMG® MULTISPOKETires - Front All-Season Tires - Front Performance Aluminum Wheels Tires - Rear Performance Tires - Rear All-Season INDUCTIVE WIRELESS CHARGING64-COLOR AMBIENT LIGHTING*Note - For third party subscriptions or services, please contact the dealer for more information. 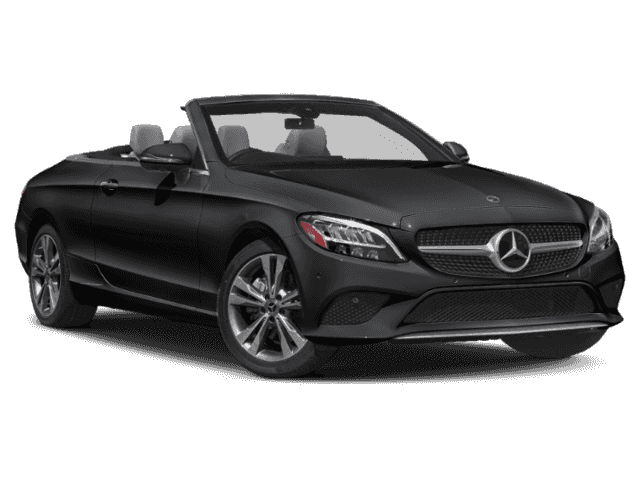 * This sporty Mercedes-Benz C-Class convertible leads the class in performance and refinement. Pull up in the vehicle and the valet will want to parked on the front row. This Mercedes-Benz C-Class is the vehicle others dream to own. Don't miss your chance to make it your new ride.This AWD-equipped vehicle handles well in any weather condition or terrain. You'll benefit from superb handling, improved steering and excellent acceleration. Mercedes-Benz of Ontario is excited to offer this 2019 Mercedes-Benz C-Class. This Mercedes-Benz includes: WHEELS: 19 AMG® TWIN 5-SPOKE W/BLACK ACCENTSTires - Front All-Season Tires - Front Performance Tires - Rear Performance Tires - Rear All-Season 64-COLOR AMBIENT LIGHTING12.3 DIGITAL INSTRUMENT CLUSTERLEATHER SEATING PACKAGESeat Memory Power Passenger Seat AMG® LINEBLACK FABRIC HEADLINERNATURAL GRAIN BLACK ASH WOOD TRIMWoodgrain Interior Trim NIGHT PACKAGEPREMIUM PACKAGEHD Radio Satellite Radio Premium Sound System Power Folding Mirrors *Note - For third party subscriptions or services, please contact the dealer for more information. 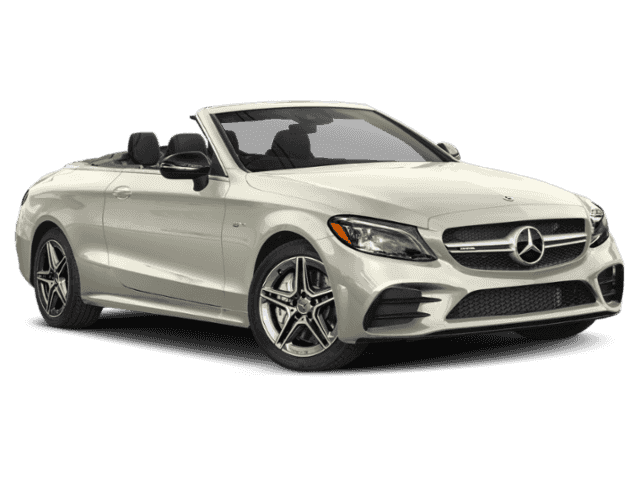 * With adjectives like sporty, classy, and downright indulgent to describe the 2019 Mercedes-Benz C-Class C 300, you'll love every minute of owning and driving this convertible. You may never go back to a closed-cabin car! Pull up in the vehicle and the valet will want to parked on the front row. This Mercedes-Benz C-Class is the vehicle others dream to own. Don't miss your chance to make it your new ride.This vehicle won't last long, take it home today. You can find this 2019 Mercedes-Benz C-Class C 300 and many others like it at Mercedes-Benz of Ontario. This Mercedes-Benz includes: WHEELS: 19 AMG® TWIN 5-SPOKE W/BLACK ACCENTSTires - Front All-Season Tires - Front Performance Tires - Rear Performance Tires - Rear All-Season MULTIFUNCTION SPORT LEATHER STEERING WHEEL12.3 DIGITAL INSTRUMENT CLUSTERLEATHER SEATING PACKAGESeat Memory Power Passenger Seat AMG® LINEINDUCTIVE WIRELESS CHARGINGBLACK SOFT TOP (STD)Convertible Soft Top NIGHT PACKAGEPREMIUM PACKAGEHD Radio Satellite Radio Premium Sound System Power Folding Mirrors *Note - For third party subscriptions or services, please contact the dealer for more information. 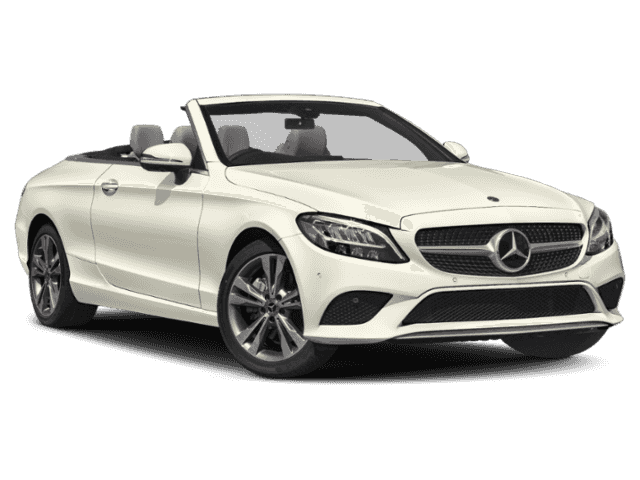 * Soak up the sun and have some fun in this outstanding Mercedes-Benz C-Class convertible. Pull up in the vehicle and the valet will want to parked on the front row. This Mercedes-Benz C-Class is the vehicle others dream to own. Don't miss your chance to make it your new ride.Look no further, you have found exactly what you've been looking for. You can find this 2019 Mercedes-Benz C-Class AMG® C 43 and many others like it at Mercedes-Benz of Ontario. This Mercedes-Benz includes: 12.3 DIGITAL INSTRUMENT CLUSTERTELEPHONE PRE-WIRING/PORTABLE PHONECross-Traffic Alert HEATED FRONT SEATS (STD)Heated Front Seat(s) Bucket Seats BLACK SOFT TOP (STD)Convertible Soft Top AMG® NIGHT PACKAGE64-COLOR AMBIENT LIGHTINGWHEELS: 19 AMG® TWIN 5-SPOKE W/BLACK ACCENTSTires - Front All-Season Tires - Front Performance Aluminum Wheels Tires - Rear Performance Tires - Rear All-Season BLIND SPOT ASSISTBlind Spot Monitor *Note - For third party subscriptions or services, please contact the dealer for more information. * The Mercedes-Benz C-Class AMG® C 43 is a well-built, yet compact and enjoyable ride that is unmatched by any other convertible on the road. With the ability to easily switch between having the top up or down, you'll be able to go about your weekday routine without feeling like you've sacrificed the weekend thrills. Pull up in the vehicle and the valet will want to parked on the front row. This Mercedes-Benz C-Class is the vehicle others dream to own. Don't miss your chance to make it your new ride.This Mercedes-Benz C-Class is equipped with AWD for improved handling. Whether you're faced with inclement weather or just out enjoying the twisting back road, you'll have the grip of AWD on your side. Contact Mercedes-Benz of Ontario today for information on dozens of vehicles like this 2019 Mercedes-Benz C-Class AMG® C 43. This Mercedes-Benz includes: 12.3 DIGITAL INSTRUMENT CLUSTERHEATED FRONT SEATS (STD)Heated Front Seat(s) Bucket Seats BLACK SEAT BELTSBLACK SOFT TOP (STD)Convertible Soft Top 64-COLOR AMBIENT LIGHTINGAMG® CARBON FIBER TRIMBLIND SPOT ASSISTBlind Spot Monitor WHEELS: 19 TWIN 5-SPOKETires - Front All-Season Tires - Front Performance Aluminum Wheels Tires - Rear Performance Tires - Rear All-Season *Note - For third party subscriptions or services, please contact the dealer for more information. * Every day feels like Saturday when you're driving a well-maintained, plush convertible like this one. You appreciate the finer things in life, the vehicle you drive should not be the exception. Style, performance, sophistication is in a class of its own with this stunning Mercedes-Benz C-Class.When driving an all wheel drive vehicle, such as this Mercedes-Benz C-Class AMG® C 43, superior acceleration, traction, and control come standard.